Today we’d like to introduce you to Erlene Howard. My aha moment came when I made a change to take good care of my body. A friend was teaching me how to make raw food and in the process, I had all of these terrific organic food scraps left over. 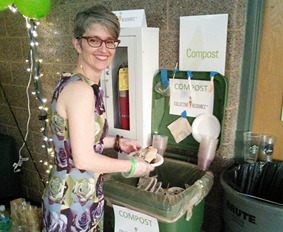 I learned about the benefits of composting but I could not do it where I lived. I don’t have a backyard and there were no drop-off sites in my hometown of Evanston. This research led me to a career in taking good care of the planet. I thought that if I could make composting easy more people would do it. I got to where I am today one 5-gallon bucket of food scraps at a time. Later, I began collection in 32-gallon totes, and now we collect truckloads and over 20 tons a week. Because it is a small business, we all do a lot of different things. My son, Kevin, has worked with me from the beginning when we were using my Toyota Camry to haul. At first, he just helped with the hauling and now he also helps with billing. 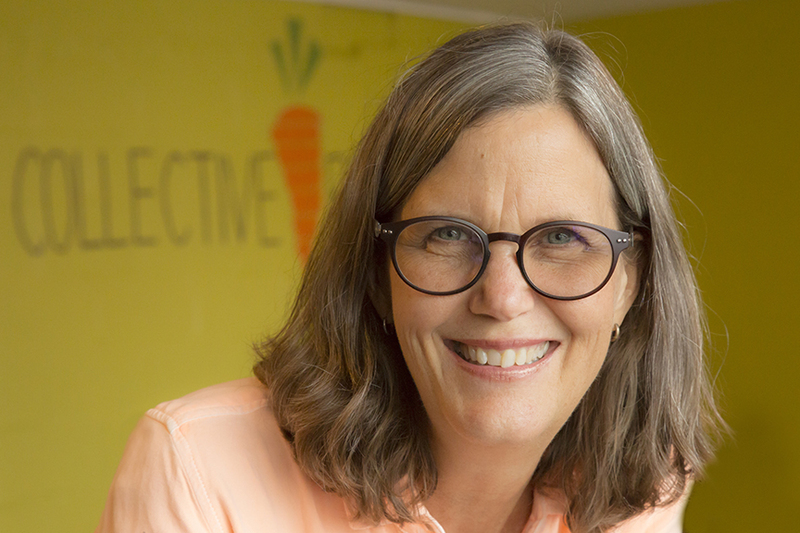 Our first part-time employee, Mary Beth, initially hired us to help her daughter’s school to have a zero-waste event. 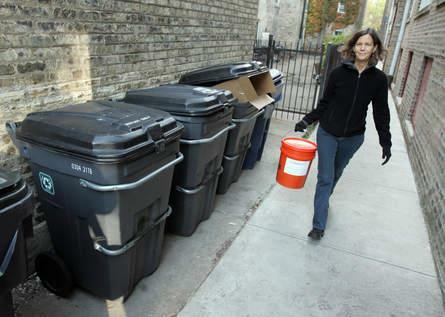 She quickly realized that she wanted to help others make their gatherings more green. As we grew, we added Sprinter trucks and more employees to help with the hauling and bucket washing. We have a route manager, Chris, and a crew manager, Tomas. It has not always been easy. Trucks break down. We pay a tipping fee at commercial composting facilities and one day without any warning the new owners doubled their prices. A lot of people still wonder why we charge money for this service. 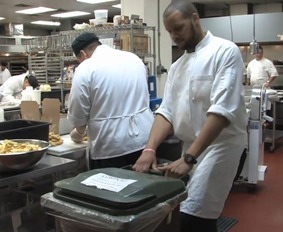 We like that they recognize that their food scraps are a valuable resource. Because a lot of our customers pay us for the year in January, the end of some years has been financially difficult. 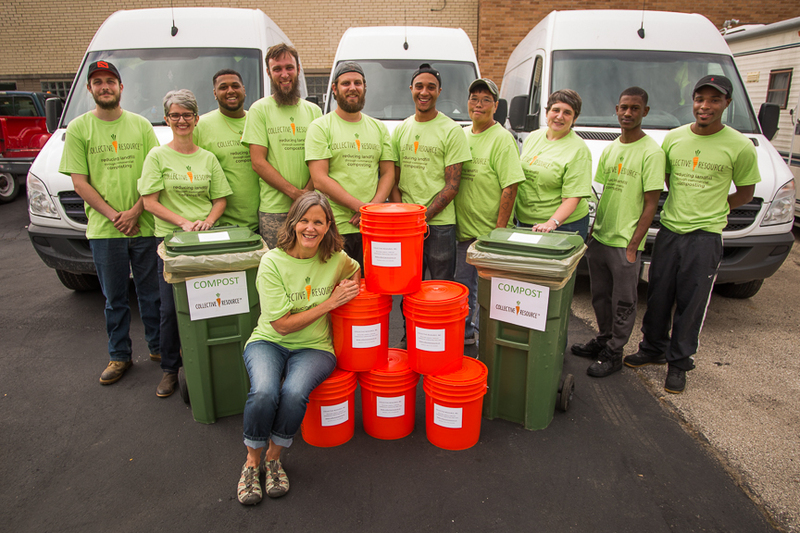 We naïvely thought that if we made composting easy, everyone would want to do it. That has not always been the case. But many, many people have. We were asked recently to describe our competitors and we really do not feel like we have any. There are other haulers, but we need everyone to divert as much food waste as they can, and that will require many haulers. 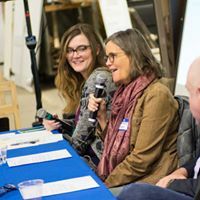 Answering that question made us realize that our only real challenge is the status quo of how waste has been handled, that we need to educate our very disposable-minded society to handle this resource with the care it requires in order to recover it. So let’s switch gears a bit and go into the Collective Resource story. Tell us more about the business. We do food scrap hauling to a commercial composting facility. 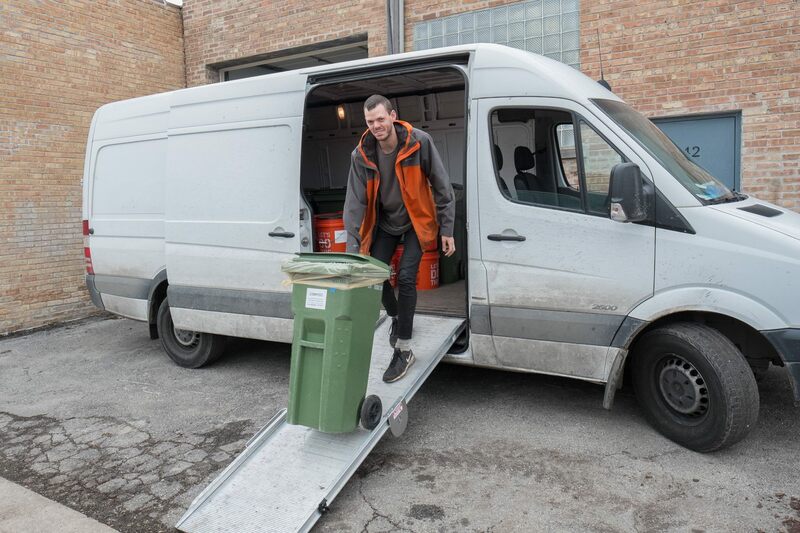 While other food scrap haulers simply dump their containers into a truck and leave the dirty container, we are known for bringing a clean container every time. For residences, this means receiving a hand-washed, 5-gallon bucket each time we collect a full one. For restaurants, this means receiving a 32-gallon tote that has been power-washed, lined, and is ready for the kitchen. All we want our customers to think about is putting this valuable resource into their container. We are woman-owned. This is highly unusual in the waste hauling industry. We are, first and foremost environmentalists. Many other haulers have added food scrap hauling to their preexisting landfill and recycling businesses. We only haul organics. We do a lot of educating. We are happy to troubleshoot with you about your own backyard bin at the same time as we educate that more of your food waste could be diverted through commercial composting. I am really proud that we have made it this far and that we were able to get through the lean years. 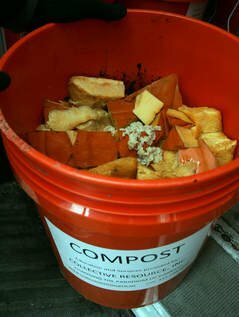 I’m also very proud that in 2017 we diverted 914 tons of food scraps from landfills, bringing our grand total to 3457 tons. I’m proud that our work has a positive impact on the planet. I’m proud that we are able to help so many others to do this, too. I’m proud that we are helping to reduce the amount of methane that is released into our atmosphere from landfills and that we are part of the solution toward solving our climate crisis. I am really, really proud that in October 2017, we finalized a franchise agreement with the city of Evanston. 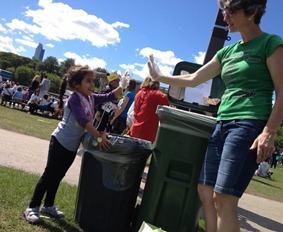 We anticipate having an even greater impact on helping reduce Evanston’s landfill use. It’s so cool that I’ve created the composting solution that I was looking for 8 years ago. I have been very fortunate. That does not mean that only good things have happened to me. I feel grateful for the good and try not to give too much energy or focus to the bad.